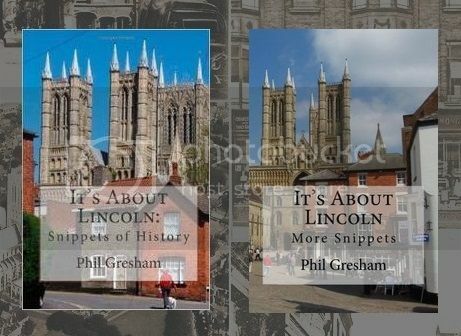 ← What’s this Lincolnshire Stuff? This unusual, neglected building stands on Canwick Road. Joseph Fambrini, born in Italy in 1815, was a plaster manufacturer and landlord at the Packet Inn on Waterside North. He later moved to the Crown & Cushion (now the Pelham Bridge) on Melville Street. Fambrini produced artificial stone and moulded it to customer requirements. Fambrini and Joseph Daniels, his grandson, became partners in Fambrini & Daniels. They produced decorative artificial stone mouldings, they were listed in street directories as artificial stone manufacturers and architectural modellers. Fambrini no doubt benefited from the rapid growth of Lincoln housing in the latter half of the 19th century as he had a large house built on the corner of Monks Road and Baggholme Road in 1876, naturally artificial stone was used to decorate it. It was named Florence Villa (Florence may be where he was born). Fambrini resigned from the partnership in 1889 and Daniels continued trading as Fambrini & Daniels. Fabrini died in 1890 and his house was renamed Villa Firenze. The business was taken over by Lindum Stone Company about 1913. Gallery | This entry was posted in Company, House, Victorian and tagged Artificial stone, Canwick Road, Fambrini, Fambrini & Daniels, Florence Villa, Lincoln, monks road. Bookmark the permalink. I took a picture of the building in Canwick Road some years ago and always wondered about the history behind it, and finding out that Fambrini’s house is my old doctor’s surgery too, wonderful post thank you!